Want to serve your guests something that is delicious and also looks amazing? These Beer Mug Irish Cream Cupcakes are sure to impress. They are filled with deliciously smooth Bailey's Irish Cream and the instructions are relatively simple. Here is what you will need. For the cake: 3 eggs, 1/2 cup vegetable oil, water and 1 box of Betty Crocker Triple Chocolate Fudge cake mix. For the Ganache: 5 ounces of chocolate, 1/2 cup of heavy whipping cream, 2 tbsp powdered sugar and 2 tbsp of Baileys Irish Cream. For the wrapper and the beer foam: 30 ounces of white modeling chocolate, yellow food coloring and 1 tube of frozen whipped topping. 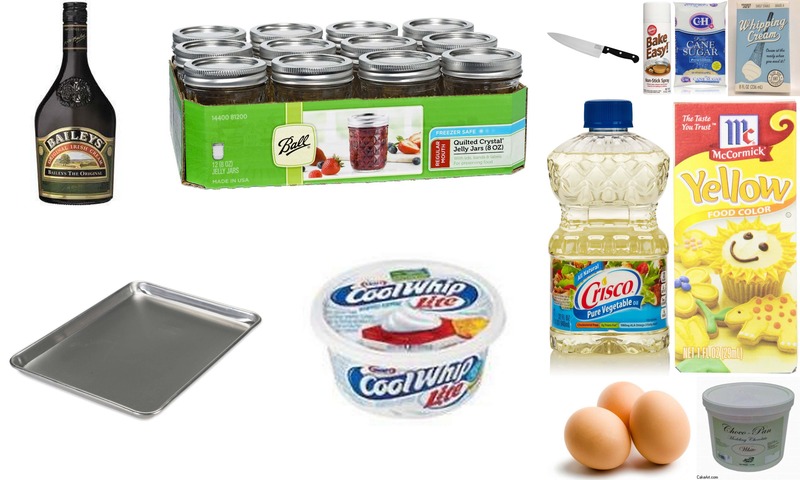 You will also need a few basic kitchen tools for the preparation. A kitchen knife, a tray, non stick cooking spray and ten half pint mason jars. Method: Before you start spray the mason jars with some non stick cooking spray. Then mix the cake according to the packet directions. After you have done that, put about half a cup full of the mix into each jar. Next place all of the jars on a tray / baking sheet and bake for 20 minutes. Allow the cake to cool for approximately 10 minutes and then turn the cake out of the jars. If you have any difficulty getting them out run a knife around the edges. Next mix all of the ingredients for the ganache (except the Baileys Irish Cream), put them into a microwave until they are melted and then add the Irish Cream to it. Take the cake out of the jars and make a well in the center of each one. Then pour the ganache into the wells. 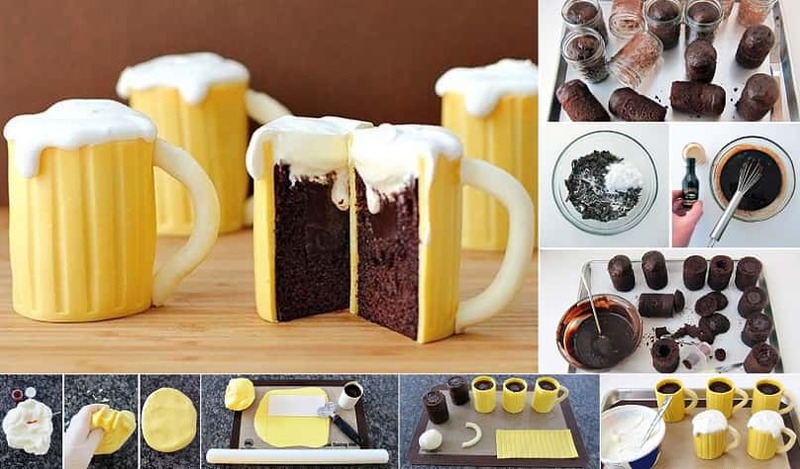 Put the yellow coloring into the modeling chocolate and start doing the actual form of the beer mug. Click check it out for more information on forming the shape of the mug.